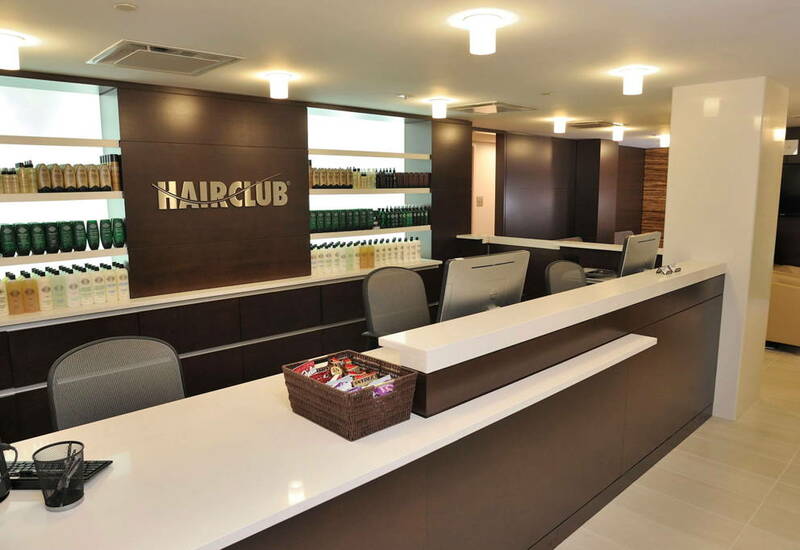 Hair Club New Hyde Park is located in a 3-story gray, glass building on Marcus Avenue between Lakeville Road and New Hyde Park Road. Our entrance is at the traffic light, directly across the street from ShopRite. There are four entrances to the building. Use any entrance. We are at the lobby level. Look for the letter “N” on the floor at the beginning of the hallway, indicating the North Hallway. Look for N12, the door on the left. PARKING: Parking is on all sides of the building. You may park in the underground garage below at no cost. PUBLIC TRANSPORTATION: Take the Q46 bus along Union Turnpike. Get off at the last stop (Lakeville Road) and transfer to the N25 bus for only a few blocks. IMPORTANT NOTE: On the weekends, use the parking lot by the North entrance, as the main doors on the west side may be closed. Office is undergoing a new makeover and appears to be going to be First Class. Service is great, from the front desk to the stylists. Have been a member over 25 years and Pat always does an outstanding job. Would highly recommend! -George F.